the fireplace was located right next to the window on the left....talk about an eye sore! at the switch on the wall! they look. it really is amazing what warmth window treatments can being to a room...it wasn't until these panels were hung that this great room finally started to feel a little more like home to me! I'm all about faking big windows! 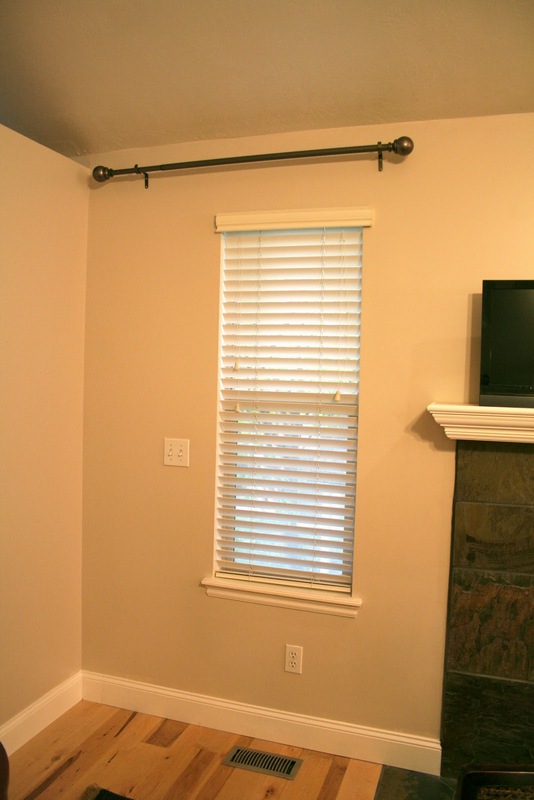 My hubby thinks I'm crazy every time I make him hang the curtain rod (he just doesn't get it!). That trick works every single time! Looks great. M.
I love how you have real life problems too when you look at a room. We are building an addition, but our master bedroom windows turned out smaller and higher than I expected. It is a dormer master bedroom so the roofline from the first floor cuts into the wall where windows can be placed. 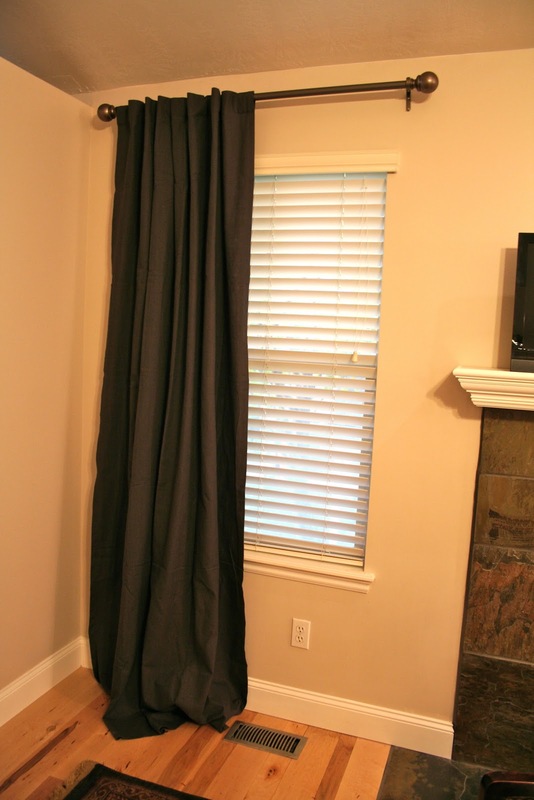 Anyways, full length curtains may hang too low since the window is kind of high. Oh well I have to think about this and unfortunately I only have a fraction of your design ability. On another subject...I will take pictures of our master bath as they become available. It is still just drywall. We are modeling it after one that you did for a client on your blog. Instead of the travertine however, I think we are going with a porcelain tile that looks like travertine. And we are trying hard to find emperador marble in a tile mosaic style. THat looks great. great idea!